Garden antics and a birthday card for Dad! I am slowly getting back into the craft room these days after a very long break!! Time is flying by and there always seems to be something to do! 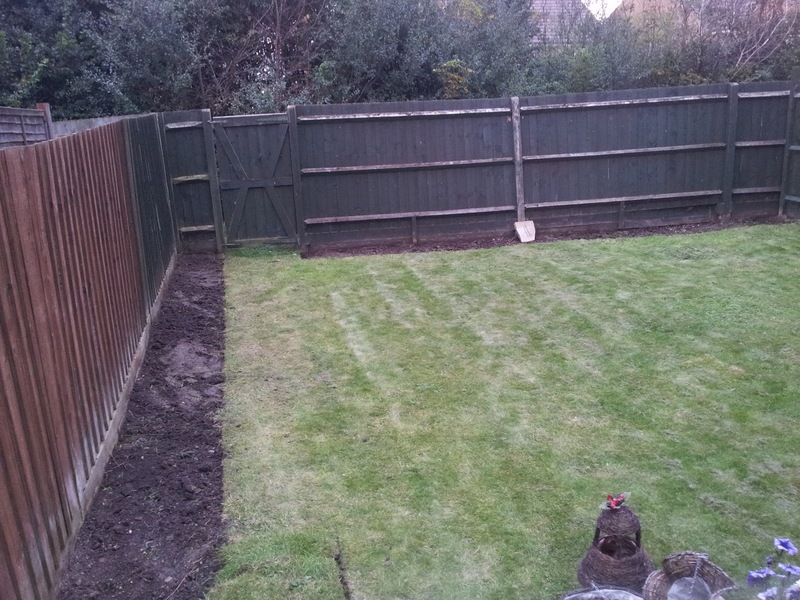 My current project is making my garden look respectable!! We have lived in our house for 4 years now and never really touched the garden apart from adding some decking and replacing some fallen down fences. It's so far been very hard work, but very rewarding work! I can't wait until we get it finished, but unfortunately that is a month or so off yet!! 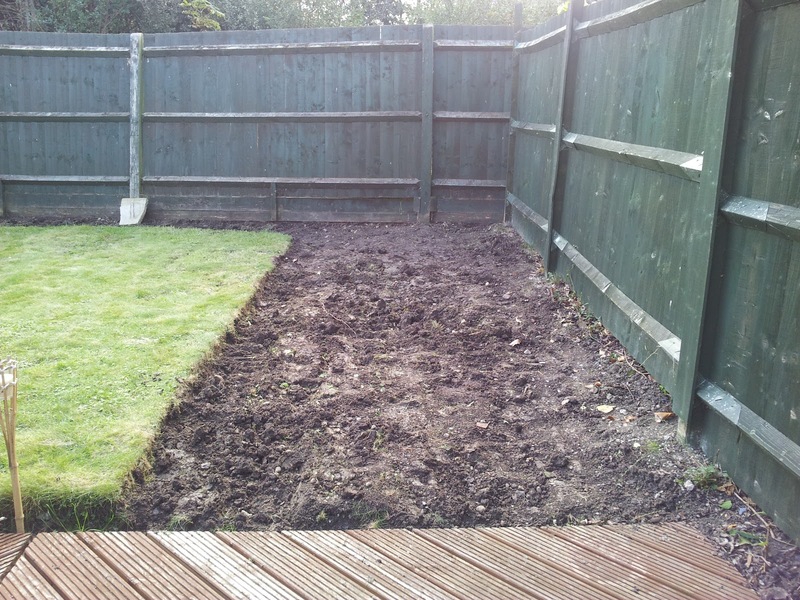 Our garden work starts in 2009 - slowly! 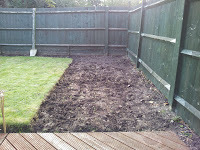 Clay soil is not fun! For the shed..! Borders start to go up! We have to wait for our new shed to be delivered, so in the mean time I have been making a few cards!! 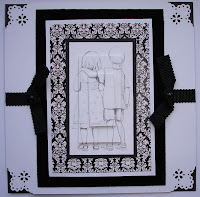 I am entering this card into a challenge over at St Lukes Charity Cards Challenge Blog. Male themed cards are being called for, so this fits the bill!! 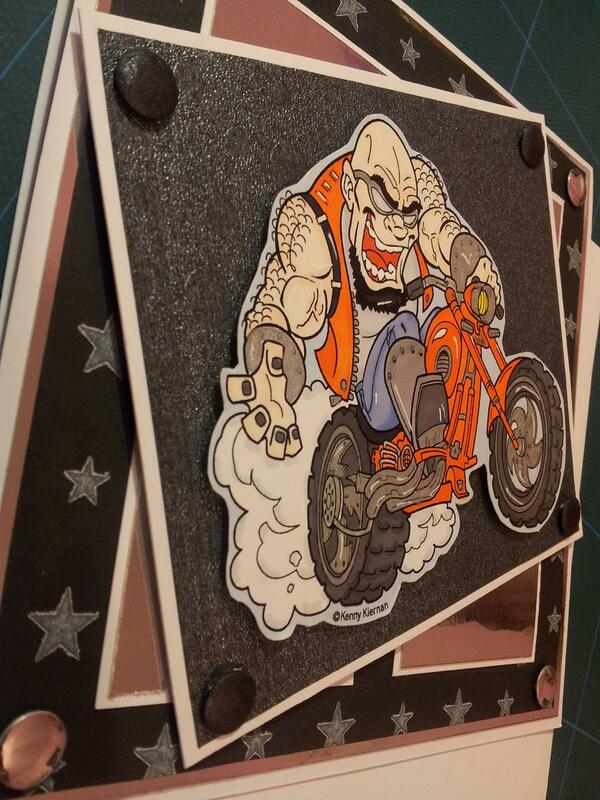 Custom made stickers for your cards/business. Measurement of stickers are approx 4x2cm. Postage - £0.58 per sheet (UK only). If you're from abroad, please ask me for postage cost. Combined postage if you order more. Please leave a message if you're interested and want to know more. 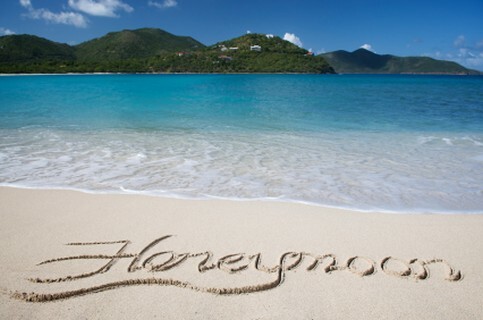 I'm back from my paradise honeymoon! Booo! 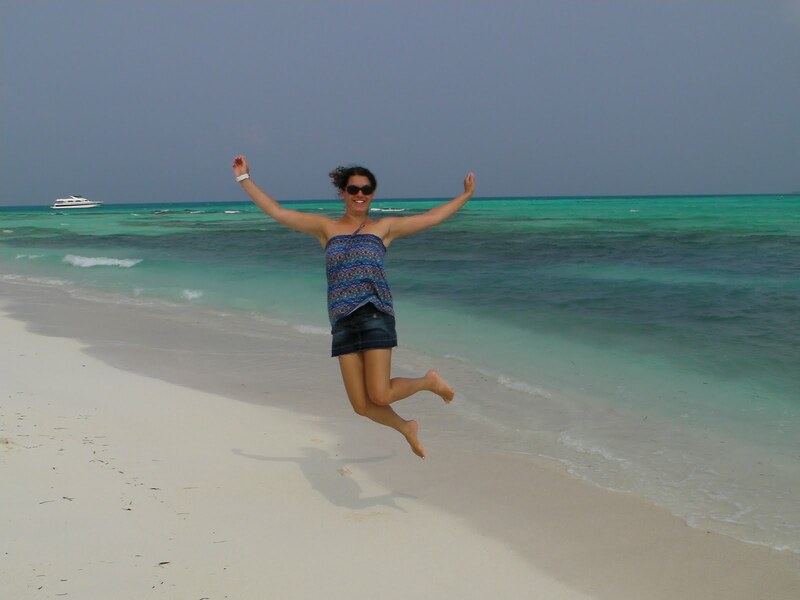 AND Blog Candy Winner Announcement! Me and the hubby are back from THE MALDIVES!!! 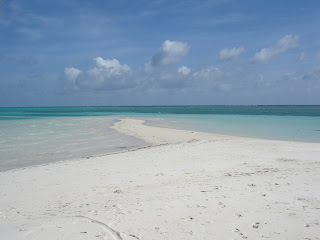 Mark took me to an island called Meeru. It was so perfect! 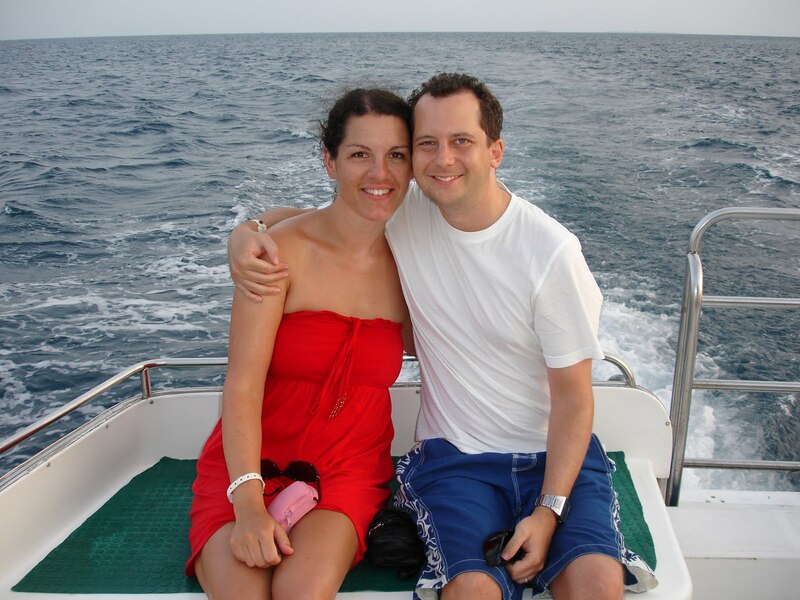 We had an amazing time, and so wish we were still there, sunning ourselves!! We were so relaxed and it was basically how I imagined paradise to be! My hubby is the best! ">Dora who guessed correctly! Please email me your home address and I will pop your surprise in the post! I am going to get back into crafting once all the washing, ironing and wedding thank you's etc are out the way, so watch this space!! Last few days to enter Surprise Blog Candy....!!!!!!!! 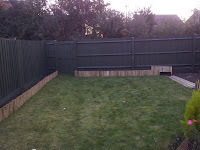 Have not had as many enteries as normal, so thought i'd do another post in hope you would see it in your newsfeeds!!! If you have not already, please enter yourself into my blog candy, which ends 13th June! Wedding pic for those who are interested! Mark and I had a fantastic day and the rain held off when it mattered!! Thank goodness! Big Thanks to you all..
Just wanted to do a very quick post to say a big THANK YOU to those of you who have taken the time to send Mark and I a card and/or pressie. You are all so kind and we really appreciate it. We have not opened any cards yet, as we are saving them for the Wedding Day/following day, which is why we haven't thanked you yet. We will eventually, I promise!! Thanks also to those of you posting your well wishes on here. In celebration of my forthcoming Wedding....BLOG CANDY TIME! Sorry for the severe lack of posts recently. Wedding preparations have been keeping me extremely busy, and I have had to take a short break from Pear Tree Designs Challenge Blog, where I am on the DT, in order to finish off my Wedding stationary!! Anyway! SURPRISE BLOG CANDY TIME! I thought as it's my Wedding Day in 3 weeks time, and then my surprise Honeymoon organised by my wonderful Fiance, I would do a Surprise Blog Candy for all my lovely followers! I have had to have 2 jabs consisting of, Tetnus, Diphtheria, Polio and Hepatitis A. It's somewhere I've not been before, so that rules out Tenerife, Orlando, New York, Chicago, Dallas, France, Portugal, Zante-Greece and Norway! Become a follower if you're not one already. Post your answer below (maximum of 2 per blog please!) by the 13th June @ 12pm. The first one to guess the location will win. I will announce the winner sometime between the 29th-30th June. 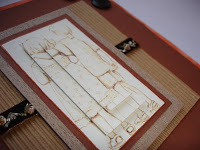 Mothers Day Challenge over at Pear Tree Designs Challenge Blog! This weeks challenge is for you to make a card/project to do with Mothers Day! This week our sponsor is Robyn's Fetish Digital Stamps and More and they will be offering the lucky winner a fab prize! Please head over to Pear Tree Designs Challenge Blog to post your enteries before 4pm on Sunday and find out what you could win! Challenge 41 is up and running over at Pear Tree Designs Challenge Blog and this week we would like you to make a Happy Birthday card/project! I have soooo many birthday's coming up in the next few months, I am never going to have time to make them all with all my wedding stuff I still have to do!! Moonpig.com will be my saviour, as much as I hate buying cards....! 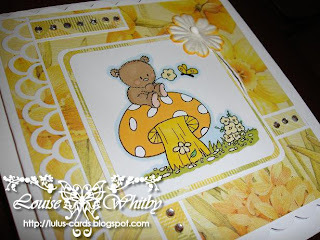 Our sponsor for this week challenge is CardMadFairy's Creations who very kindly gave the DT a few images to play with. 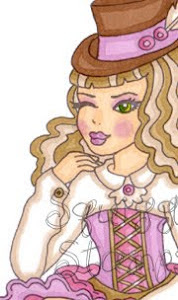 I have chosen All Dressed Up, available over on our sponsors blog for a bargain price of 99p! Please pop over to ﻿Pear Tree Designs Challenge Blog to find out what fab goodies you could win this week if you are the lucky chosen one!! All enteries must be in by 4pm on Sunday, and you may submit up to 2 cards/projects only! Good luck all and hope you have a fab week! 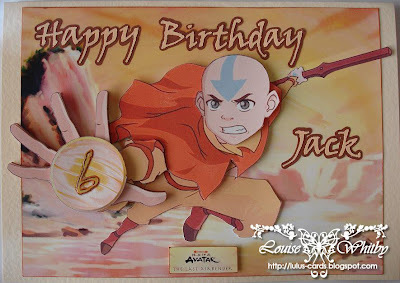 A friend of mines son is 6 next week and she asked me to make him an 'Anng - The Last Airbender' birthday card for him, and this is what I came up with after scanning Google for quite some time!! Thanks to my rather handy Craft Robo I was able to cut out the writing! My Fiance Mark helped me make the 6 badge in Aangs hand on Paint Shop Pro, and do all these cool effects. I am useless with that program, far to many buttons!!! 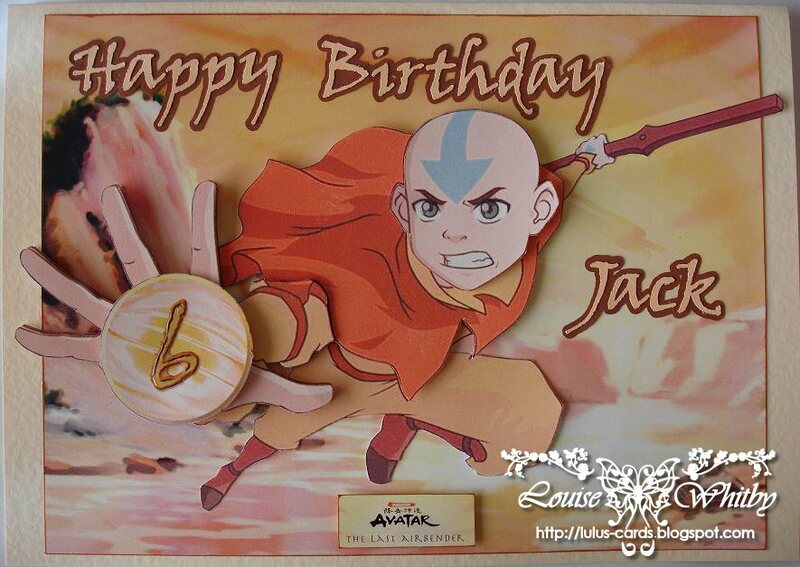 I have used the decoupage craft for Aang so it looks as if he is popping out of the page. I am pretty pleased with it! I just hope he likes it too! Apparently it will be going up on his wall - bless. Looks like the weather is getting nicer! Yay!! 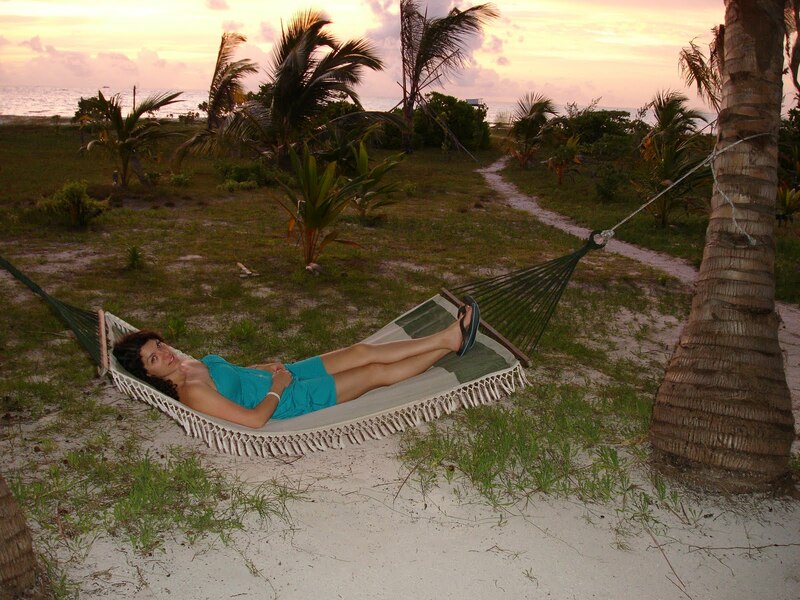 Not quite flipflop weather yet, but we are getting nearer and I just can't wait! I loooove my flipflops! 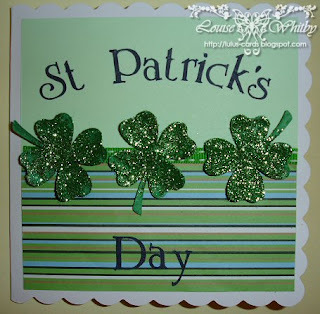 Well, Pear Tree Designs Challenge Blog latest challenge is up and running and this week we would like you to produce a card or project to do with St Patricks Day! I decided green would be a rather good colour to go with again this week! I have used my craft robo to cut out 'St Patrick's Day' and it took me a fair amount of time to pick the letters out of the sheet they were cut from, but eventually I managed it!! I also had some lucky clovers hanging around, and I know traditionally it's a 3 leaf clover, but I don't think it's a major issue! I embossed these so that they curled a bit and then covered them is some lush green glitter to make it sparkle. This week we are sponsored by One Stop Card Crafts and they are giving the lucky winner a range of Liquid Pearls worth £10! 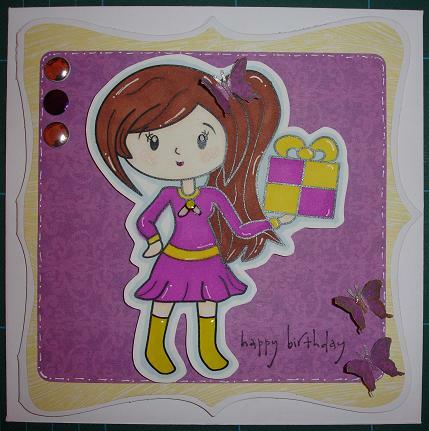 Please head over to Pear Tree Designs Challenge Blog for more information and to post your lovely crafty creations! Entries need to be in by 4pm on Sunday! I hope we have more than 4 enteries this week peeps!!! Have a good week, and lets hope the sun stays with us for more than one day!! I have been seeing these lovely watermarks/signatures on everyones pictures recently and was wondering where they were coming from, so I finally asked one of the DT gals and found out they actually come from Whimsy Stamps! So if you were all wondering, thats where you get them from....but they do cost a little bit of $$! I have a rather clever Fiance who helped me make my own one. Well two actually! I had to make one for when my name changes in a few months too..hehe! How organised, eh!? 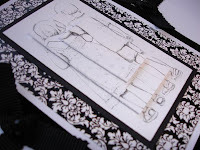 Anyway, back to this weeks challenge over at Pear Tree Designs Challenge Blog!! This week for Challenge 39 - Sketch with a twist, we would like you all to follow a sketch, the twist being that your card must have gems on it. Please head over to our challenge blog to view the sketch. We are sponsored by Crafty Sentiments Designs this week and the lucky winner will be getting 2 x digital images - Valentines Bear and Violet. Please get your challenge card enteries in by 4pm on Sunday. 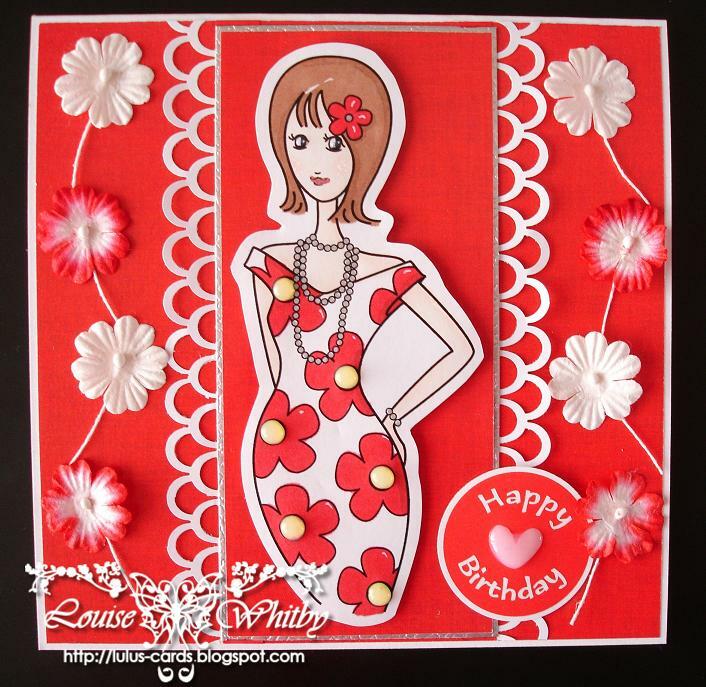 Over at Pear Tree Designs Challenge Blog, challenge 38 is up and running, and this week we would like you to create a card or project which has ribbon on it. We got some lovely papers to use from our sponsor, Robyn's Fetish Digital Stamps and More this week and I decicded to go for this pretty floral green pattern, and teamed it up with Mo Mannings gorgeous digi stamp, Soaking Up The Joy. I just love the little girls expression! This week, Robyn's Fetish Digital Stamps and More is offering the lucky winner 5 x Digital Images (Of your choice) or 4 x Digital images and 1 x paper pack. 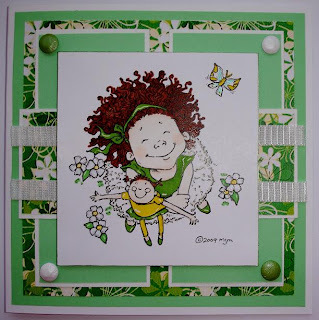 Welcome to challenge 37 - One colour, over at Pear Tree Designs Challenge Blog! For this challenge we would like you to create a card/project that consists of using one colour only. It can be different shades of that certain colour you use, for example if your colour was blue, you can use light blue, dark blue, baby blue, pale blue etc.....you can use the odd bit of white, but as long as we know you are only using one colour. 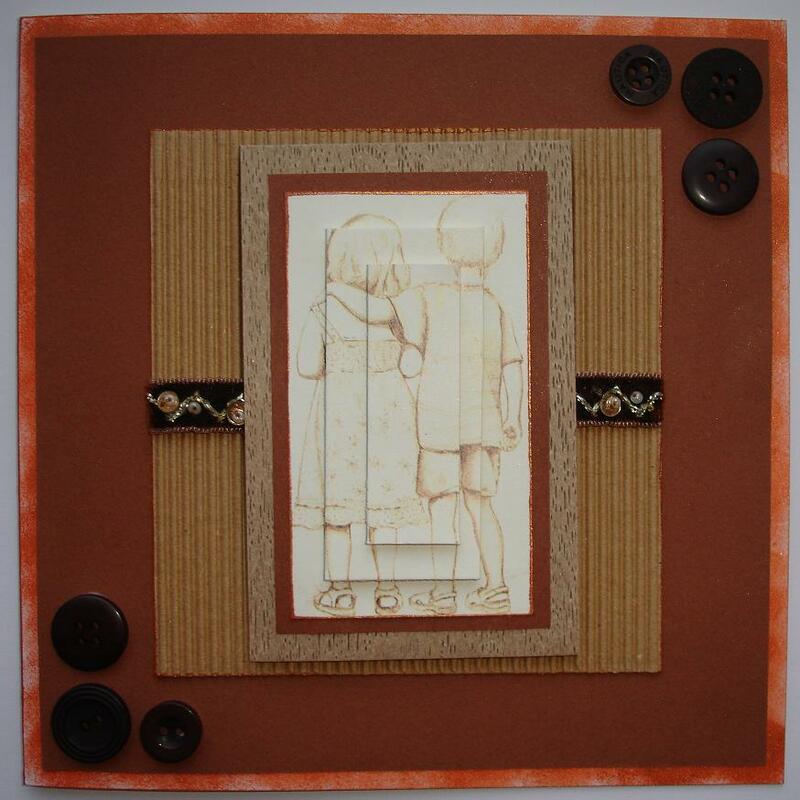 I decided to use Black as my main colour on this one card and Brown on the other. I have done a 3 layer pyramage for the picture which I just printed off in black/brown and white. I thought it was lovely enough to leave plain. It is such a beautiful image. I just loved working with it! We are sponsored by CardMadFairy's Creations this week and she has given us some lovely images to work with, so thanks for that Jenni! This weeks lucky winner will get 5 x digital images of your choice! Please send your enteries in by Sunday at 4pm. 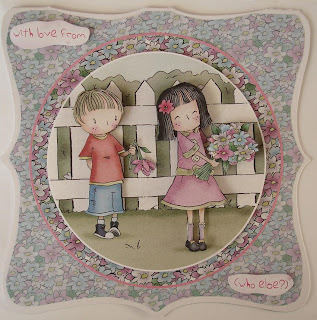 Pear Tree Designs - Challenge 36 - VALENTINES!! Hope you have all been spoilt and had a lovely surprise from your other halves! My lovely Fiance made me a lovely photocard and also bought me a new Xbox Kinect game - Zumba. I have wanted it for ages, as I go to a Zumba/Aerobics class each week, and have really got into it, and it's just such a good work out, especially for the ol' belly area!! Thanks you Mark, and I love you loads!! He is about to take me out to a lovely Italian in the next town to us for lunch, and i'm starving, so can't wait!! 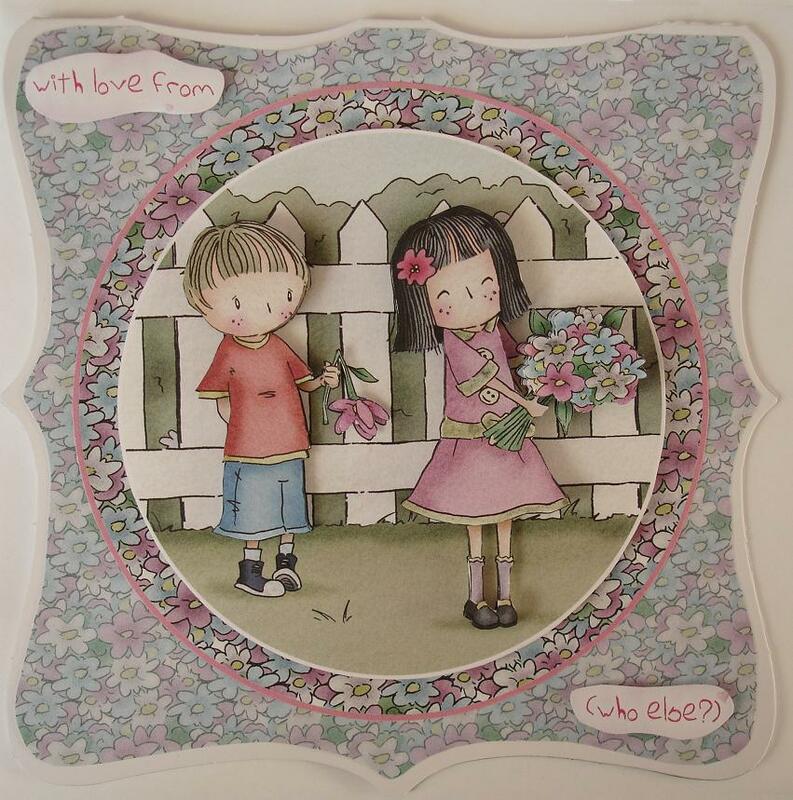 Anyway, back to what this post is really about - Pear Tree Designs Challenge Blog latest challenge - Valentines! 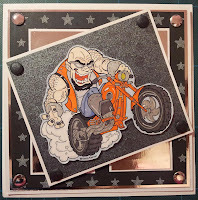 This should be yet another easy topic for you all to enter into, as I am sure most of you will have made the other halves a card or two (if they were lucky!) or even a special present!! Please note it can be anything to do with love/valentines only! 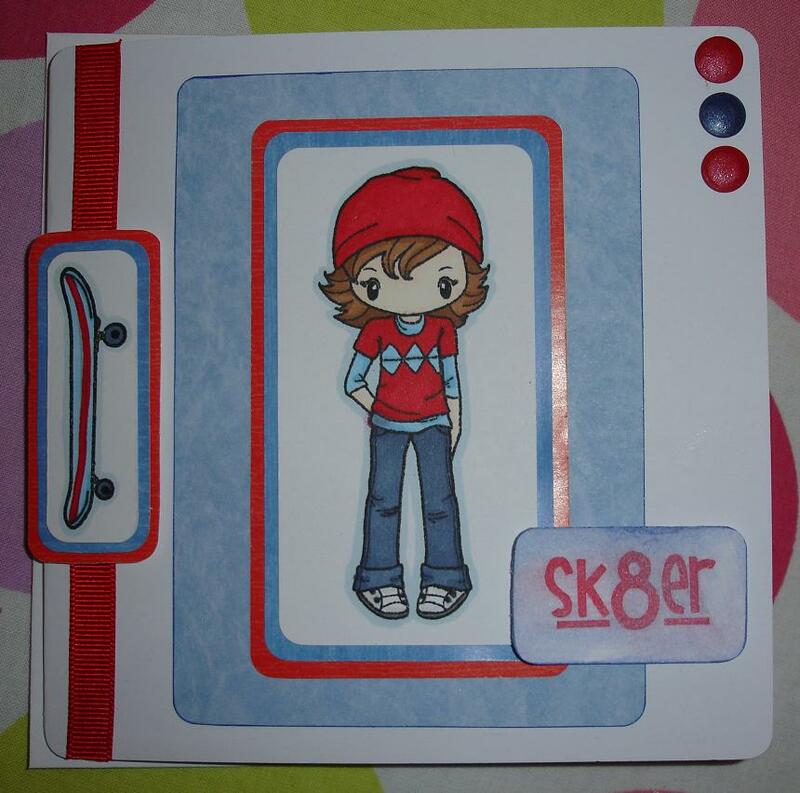 I made this card using some lush freebie pack from one of my many card magazines! I am not sure which one though - sorry! It was lovely to work with and I added some Glossy Accents to it as well to make it stand out a bit more! 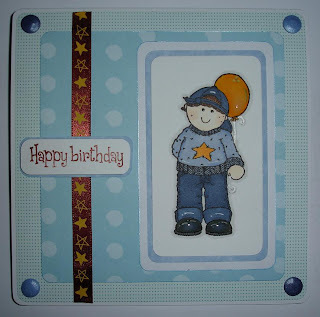 This week we are sponsored by One Stop Card Crafts and they will be giving away a brilliant prize to the lucky winner!! Please head over to the Pear Tree Designs Challenge Blog to see whats on offer. Have a good week all, and look forward to seeing all your lovely valentine cards/projects this week! Another week has passed, very quickly!!! 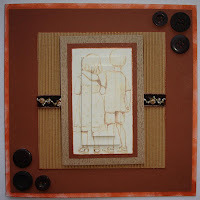 Over at Pear Tree Designs Challenge Blog, Challenge 35 is up and running and this week it's 'Free For All'!! Everyones favourite - I know! So the DT are expecting many enteries this week!! 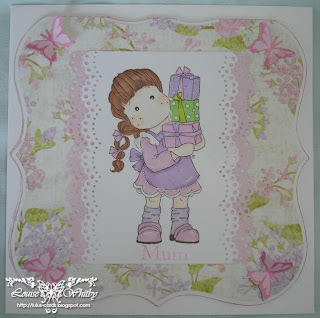 Our sponsor, Crafty Sentiments Designs very kindly gave us a few images to choose from to use on our projects this week, so thank you very much for those! I just love my Martha Stewart Butterfly and stamps punch!! They are so cute! Please remember ONLY 2 ENTRIES PER BLOG PER PERSON! Anyone trying to enter more than 2 entries will be disqualified from the challenge altogether. For a chance to have a extra entry (3rd one) and extra chance to win, go over to our sponsor's website, purchase one of their images and use it on your card(s) you are entering, as simple as that! 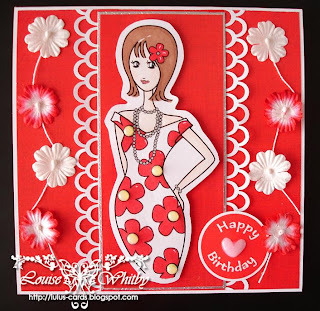 The lucky winner can choose 3 x digital images from Crafty Sentiments Designs store! Have fun everyone, and make sure all your enteries are in by Sunday at 4pm! 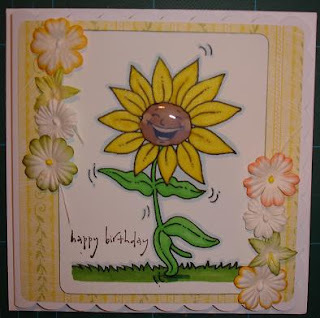 Pear Tree Designs Challenge 34 - Flowers! Been having issues with uploading pictures since yesterday....figured out why now though! It was me being a fool! This week we would like you to add flowers to your card/project, it can be 1, 2 or more as long there is some flowers added to your card/project! PLEASE DO NOT ADD MORE THAN 2 CARDS/PROJECTS PER CHALLENGE - Thankyou! Robyn's Fetish Digital Stamps and More shop is full of digital images and papers, perfect for every crafter! They have loads of lovely images and the DT were lucky enough to have a play with a few for the challenge! Thanks very much Robyn's Fetish Digital Stamps and More ! Have fun everyone, and i'm looking forward to seeing all your cards/projects. Good luck everyone, and I look forward to seeing what you come up with! Pear Tree Designs - Challenge 32!! Sorry for the late post, totally forgot...oops!! My excuse being that I am working on my wedding website/wedding stationary and basically in my own weddingy world! ahh! So, this week it is everyones favourite challenge - free for all!!!!!!! So, basically, you can submit anything you like! Please note we are only allowing max 2 entries per blog! Don't be greedy now! People submitting more than 2 entries will be removed altogether. 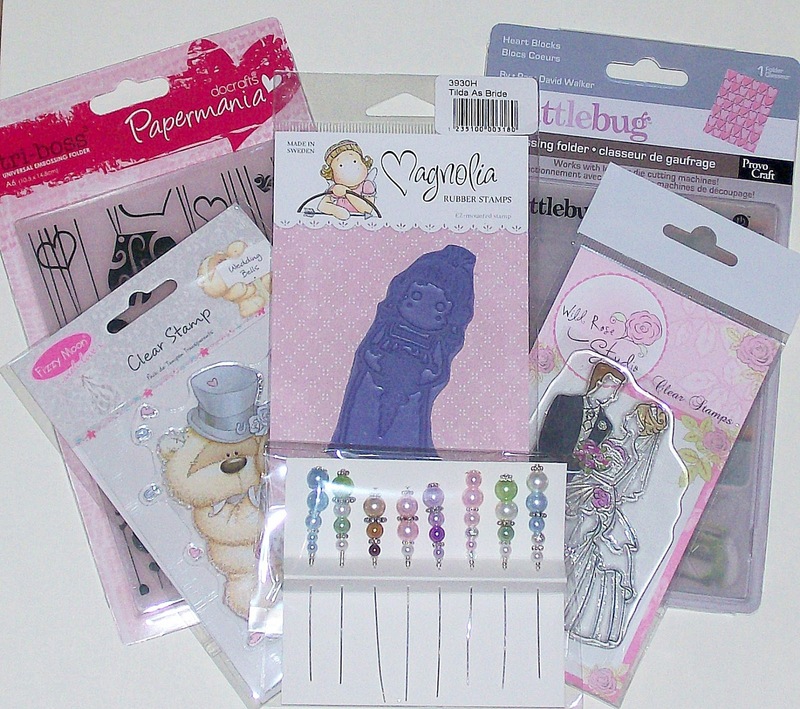 We are being sponsored this week by One Stop Card Crafts, who are offering £10 worth of Ranger Stickles. If you would like to enter then please follow the rules on our sidebar over at Pear Tree Designs Challenge Blog and follow the challenge that has been set. Please add your card/project to your blog and link it back to the challenge blog using the Mr Linky. If you do not have a blog then you can still enter, just email your entry! Pear Tree Designs Challenge 31 - We are Back! Good Afternoon everyone and a HAPPY NEW YEAR to you all! 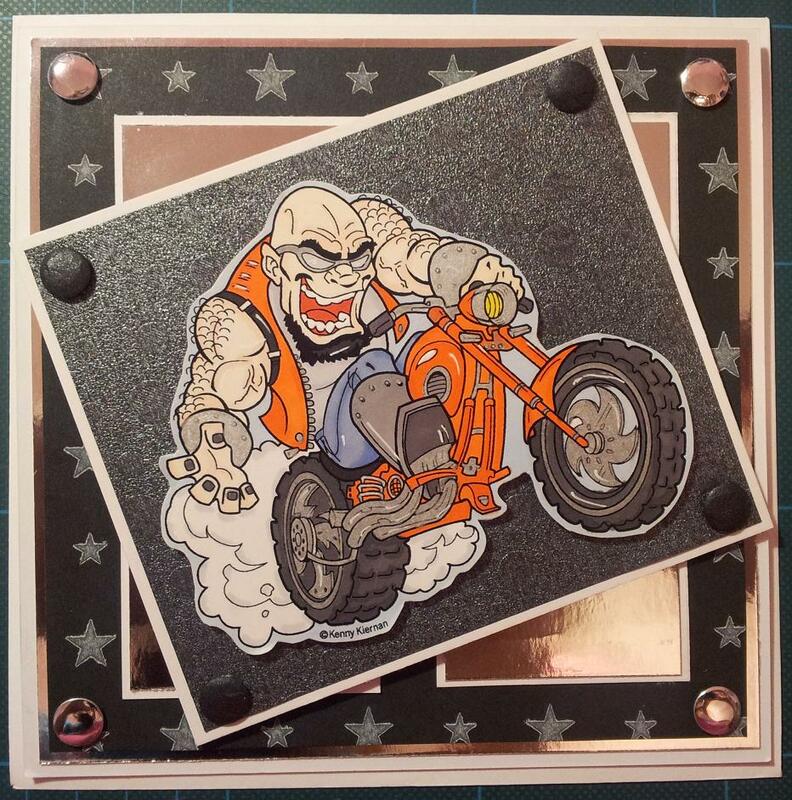 Over at Pear Tree Designs Challenge Blog we have challenge 31 well on it's way, with a couple of enteries already! Great! So, our first challenge of the year will be the theme 'circles', and we would like you to produce a card/project that consists of circles within your card/project. Easy peasy I would have thought!! I got this decoupage set free with one of the many magazines I supscribe to. Possibly Papercraft Essentials!? 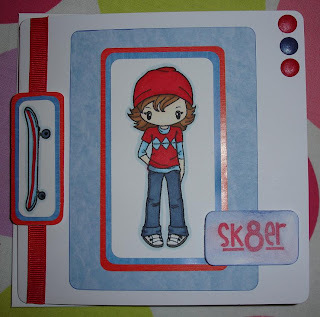 I thought it was really cute, and I am just loving these 'elegant square' shaped cards right now. I really think they add something special to the overall design of the card. What do you think? Donna will be personally sponsoring this challenge for this week, and she will be giving the lucky winner a chance to win a 'GOODY BAG'!! A nice surprise then! So what are you waiting for? Enter our challenge before 4pm this Sunday for the chance to win! !